Such an incredible super-hero movie and kick-off to the Summer Blockbuster season. Spider-Man 2, X-Men, and the upcoming Maleficent are excellent movies to usher in the second biggest box office season of the year (second to the Holiday season). It’s also refreshing to see a movie that depicts a dark–very dark–bleak dystopian future that has the opportunity to be prevented. With a cast featuring Sir Ian McKellen, Sir Patrick Stewart, Hugh Jackman, Halle Berry, Jennifer Lawrence, and more, the movie will keep you on the edge of your seat the entire time. Director Bryan Singer has succeeded in topping his previous X-Men movies with the biggest installment in the 14-year, seven-movie X-Men franchise. But, just a word of caution, you probably want to bring along a teenager or comic book fan to decipher some of the plot points and guide you through the time-traveling pretzel-like plot. In the most recent installment in the X-Men franchise, we are introduced to a Manhattan ravaged by war and destruction caused by the Sentinels on their quest to destroy all mutants–looks a lot like present Detroit. In their quest to destroy all mutants, the human race is all but eradicated as well. Held up in an ancient Chinese mountain fortress, a small band of mutants, including Storm, Wolverine, Xavier, and Magneto are taking their “last stand” against the indestructible adversary. 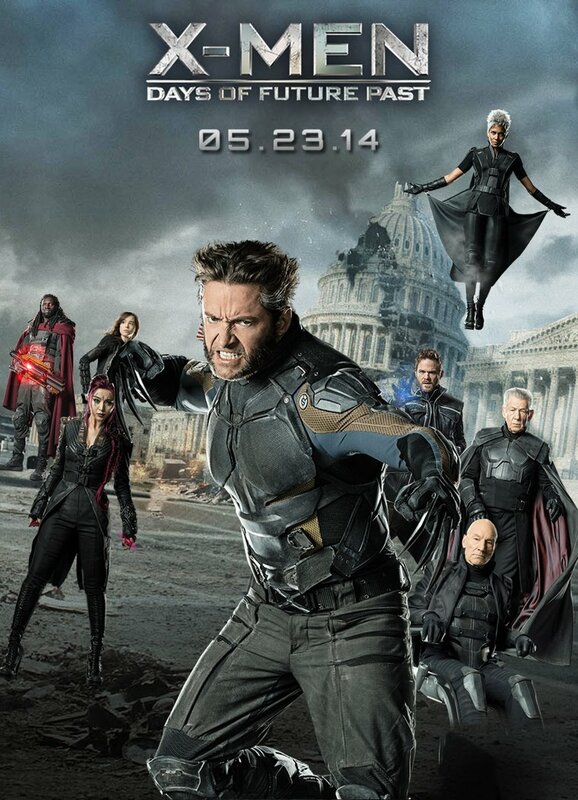 Frenemies Xavier and Eric join together to develop a plan to save the mutants and humans from total destruction. Just goes to show that a common enemy can cause two other enemies to join forces. Wolverine’s conscious is sent back in time to 1973 in order to stop Mystique (Lawrence), who’s essentially gone rogue, from killing Trask, the inventor of the Sentinels–an event that caused the Sentinel program to evolve into the destruction of humanity. There are many ways and plenty of opportunities for this film to have gone the way of “Spider-Man 3” (original trilogy), but thankfully it surpassed any and all expectations for this sequel/prequel/reboot, or whatever we are going to call it now. After a hiatus from the franchise, it is clear that the series has missed Singer, and what a triumphant return! After the failed “Wolverine” and “X-Men: Last Stand,” I was ready to write this franchise off as something that will merely be produced every three years in order for Fox to withhold the film rights from falling into the gloves of a Mouse. Through “X-Men: First Class” and today’s “X-Men: Days of Future Past,” Singer has been able to save the franchise and redirect its course of action for a bright future that will undoubtedly boost Fox’s pull at the box office. However, it will be difficult to join the masses that are enjoying this movie if you have not seen the, for good or bad, previous films in the franchise. Lately, it seems like the producers and writers of the superhero genre films have finally figured out that a truly successful superhero movie will not only have amazing action sequences, eye-popping visual effects, but excellent acting and emotional pull (otherwise known as heart). And, this film has the aforementioned in spades. Everything from the cinematography to the writing, from the directing to the acting is done flawlessly. Although some of the characters do not get near the screen time as some of the others, they play an important part in the story. Instead of a kid’s comic come-to-life, we have an excellent work of cinema that honestly keeps the balance between narrative and stunning visual effects. For those with younger ears and eyes that may want to watch the movie, there is a quick shot of Jackman’s backside and an F-bomb. Unlike, the “Transformers” franchise, “X-Men” provides the audience with awesome action sequences, characters that the audience can fall in love with, and a story with passion. If you haven’t seen the movie, and have seen the six previous films, definitely plan some time over the holiday weekend to watch it. And, if you have a friend who’s familiar with the comics, you should take them along. Sorry, Disney, I don’t think you are getting the rights to the X-Men characters any time soon, especially after the wild success of this most recent installment that has made up for all the cinema sins committed by many of the previous films.